Nestled along the Banks of the Neosho River, Iola sits a community rich in history that is very much alive with its showy 19th century architecture. Iola is home to the largest downtown square in the U.S. and is surrounded by quaint, unique shops, boutiques and upscale Flea Markets. The Iola Area has hiking/biking trails,(one is a state park)there are several beautiful parks including a Bark Park for our 4 legged friends. The dining experience covers everything from Ethnic to cafes and coffee shops. Bakery and Delis round it for a full dining experience. From April to mid October we have a wonderful Farmers Market with kinds of fresh produce and goods to chose from. There is a selection of nice motels and a Fine Arts Center that has had entertainers of all kinds, from the world famous to the kids next door, have presented their talents for area audiences. Among the artists who have performed on the Center's stage are such luminaries as Count Basie, Robert Merrill, Henry Mancini, Hal Holbrook, Minnie Pearl, Marcel Marceau, Lionel Hampton, Steve Allen, and a host of others. The Fine Arts Center also host and Art Gallery. The Iola Area Chamber features Trolley Tours through out the year. The list is a long one for things to do! Iola Area has Sporting events with the Allen Community College in town there is always some event going. The Recreation Dept. also host a multitude of events. From April to mid October we have a wonderful Farmers Market with kinds of fresh produce and goods to chose from. We have two very nice golf courses and a Bowling Alley. The Iola Area Chamber features Trolley Tours through out the year. We are home to a 6-complex movie theater, Hunting and fishing are a large local sporting events. Bike paths and sharrows that show bike sharing streets abound. The list is a long one for things to do! The Bowlus Fine Arts Center that has had entertainers of all kinds, from the world famous to the kids next door, have presented their talents for area audiences. Among the artists who have performed on the Center's stage are such luminaries as Count Basie, Robert Merrill, Henry Mancini, Hal Holbrook, Minnie Pearl, Marcel Marceau, Lionel Hampton, Steve Allen, and a host of others. It features a 750 seat Auditorium along with a lecture hall. The Fine Arts Center also host and Art Gallery. Iola is also the home of the Southeast Kansas Library System which is the nerve system of all book lending within Southeast Kansas. If you need a book, movie or genealogy they are there to serve. Iola Community Theater is celebrating 50 years in 2015 and they many live shows and stand up singers and comedy acts. The Major General Frederick Funston Boyhood Home and Museum tell the life story of Frederick Funston. Known as the "Man Who Saved San Francisco" during the 1906 Earthquake and Fire, Funston was also a traveler, explorer, botanist, and a three star general in the United States Army. Standing at only 5'4", Funston was the commanding officer for Eisenhower, MacArthur, and Pershing. The Boyhood Home is exhibited with furniture of the period of Funston's childhood. In the summer months, The Iola Municipal Band plays at 8 p.m., but the crowd gathers much earlier around the bandstand on the Iola square. The Iola Municipal Band has presented free summertime concerts since 1871. It's the longest continually performing city band in Kansas and one of the oldest in the country. Iola has a Public Transportation Van. Bus service is also served out of the Area. Jan 20.0 F° 30.5 F° 41.0 F° 1.3 "
Feb 24.0 F° 35.5 F° 47.0 F° 1.7 "
Mar 33.0 F° 45.0 F° 57.0 F° 3.0 "
May 55.0 F° 65.0 F° 75.0 F° 5.7 "
Jun 65.0 F° 74.5 F° 84.0 F° 5.8 "
Jul 69.0 F° 79.0 F° 89.0 F° 4.8 "
Aug 67.0 F° 77.5 F° 88.0 F° 3.7 "
Sep 57.0 F° 68.5 F° 80.0 F° 4.3 "
Oct 46.0 F° 57.5 F° 69.0 F° 3.8 "
Nov 35.0 F° 45.5 F° 56.0 F° 2.6 "
Dec 23.0 F° 32.5 F° 42.0 F° 1.8 "
Summer brings warm temps perfect for swimming, fishing and watching ballgames. Fall is beautiful with crisp air and gorgeous fall foliage and grasses. Winters are usually brings weather for great sled riding and moonlight rides. Spring burst forth with and abidance of flowers and flowering trees. 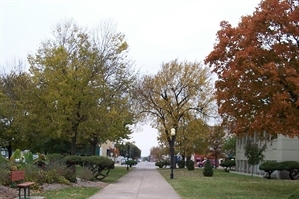 Condos Over 50 Communities The Iola area features charming neighborhoods with beautiful tree lined streets, that have sidewalks and walking paths. Family friendly neighborhoods with new construction nestle with historic homes. For those that are looking for a more scenic rural setting to build that is also available. There is variety of rental options from apartments overlooking the historic square, to duplexes and homes. Home care Senior center Visiting nurses Service for Seniors are abundant...with a Senior Center that offers meals at noon along with the Meals on Wheels program. Home Health is offered by several agencies. 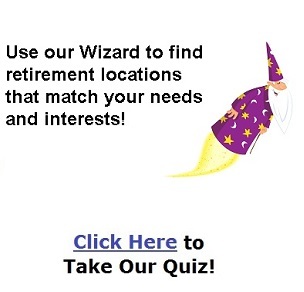 There are several high quality Elder Care facilities as well. Visiting Nurses are also available. Iola has a lot of volunteer opportunities from The Allen County Regional Hospital, to the Nursing homes, the Chamber of Commerce, the Historical Society, the Schools to just to name a few.